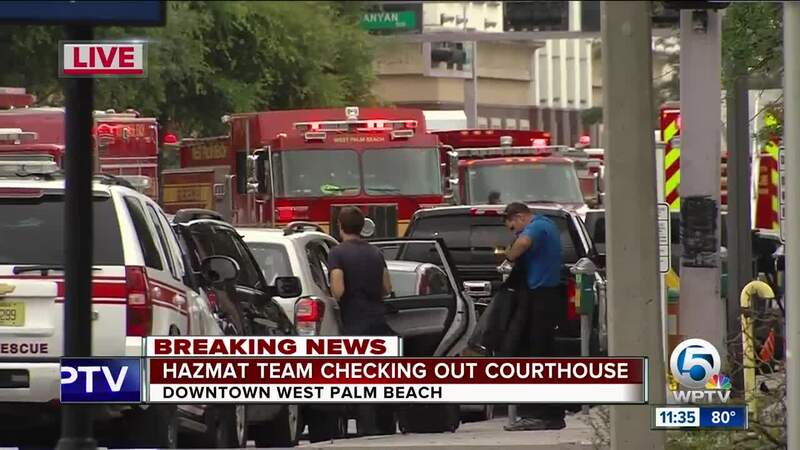 West Palm Beach Fire Rescue dispatched HazMat units to the Palm Beach County Courthouse late Friday morning. First responders said three people on the sixth floor indicated they were not feeling well. HazMat crews inspected the floor and later said a non-hazardous material was found. Quadrille Boulevard between Banyan Boulevard and 3rd Street was closed and will reopen when rescue units leave the scene. All floors of the courthouse have reopened.